It is now 50 years since Amnesty International was founded. In 1961, the English labour lawyer Peter Benenson published a newspaper article about two Portuguese students jailed for allegedly “having drunk a toast to liberty.” At the same time, Benenson drew attention to the legions of people in all corners of the world who are “imprisoned, tortured or executed because his (sic) opinions or religion are unacceptable to his government.” Ultimately, Benenson’s article inspired the founding of Amnesty International – which from its inception has campaigned to protect those people imprisoned for the non-violent expression of their political and religious beliefs. The focus may not have changed, but the organisation’s work certainly has. The 9/11 attacks and their aftermath have brought issues like torture and rendition – and the complicity of Western governments in these and other human rights violations – to the forefront of Amnesty International’s work. Inevitably, this has seen its work become far more polarising, on the home front. Last year for example, Amnesty’s campaign about Guantanamo detainees in unison with the Guantanamo torture survivor (and Muslim activist) Moazzam Begg sparked an internal rift in the organisation that saw the resignation of Amnesty’s then gender unit head, Gita Sahgal. In early October, Amnesty International’s eighth director-general Salil Shetty visited New Zealand as part of AI’s 50th anniversary celebrations. 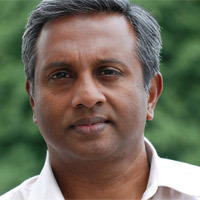 Shetty grew up in Bangalore, India and was the director of the UN Millennium Campaign between 2003 and 2010. While here, Shetty put useful pressure on New Zealand about this country’s responsibilities under the Torture Convention for any prisoners captured by our SAS forces in Afghanistan. In a brief and truncated interview during his visit, Shetty spoke to Werewolf editor Gordon Campbell. Campbell : At its inception in 1961, Amnesty’s work was widely seen to be about spreading the Enlightenment values of Western democracy to benighted Third World tyrannies. How have 9/11 and the war on terrorism changed the focus of Amnesty’s work? Shetty : I’m not able to talk about attitudes that existed in 1961, when Amnesty was formed. But there is no question that what happened at 9/11 has brought a much sharper focus to issues of public security and individual human rights. The work that we’ve been doing on Guantanamo Bay, on rendition…right up now to the killing of Anwar al-Awlaki, within the past three days. These are things we’ve never worked on before. That’s been the switch hasn’t it? Before, human rights problems were largely seen to be located over in some other country. Now the focus is much more on the behaviour of governments with respect to human rights here at home, within the Western democracies themselves. And equally, also about issues like the discrimination against the Roma in Europe as an example…But yes, that’s correct. There’s been a whole re-balancing. Part of the problem with that re-balancing is that most of the public believe torture and other violations of human rights DO help to protect their own security, To the point where they think that organisations like Amnesty or Justice UK, or Liberty are giving more weight to the human rights of possible terrorists than to the public’s own security. How do you go about convincing the public otherwise? Well, first of all I have to say that Amnesty has more than three million members – and by a factor of ten or twenty there are wellwishers or supporters of Amnesty, even if they are not members. While you’re right to say this new and growing concern about personal security in the West has certainly changed the balance, there are still a lot of people who strongly believe in what Amnesty stands for. On the torture question, as you know, it is in the first instance, not acceptable. There are no exceptions. In no circumstances is it acceptable. So legally speaking, it is simply outside the pale of human rights law. And presumably you’re not taking that position simply for tactical reasons, in order to defend the Torture Convention…? No, it is accepted by all shades of opinion…That is the human rights law point of view. But in very practical terms, there’s no evidence at all to show that torture increases the reliability of evidence, and it is very flimsy stuff to start with. Yet there seems to be a view within MI5 and among some members of the public that there should be a trade-off between torture and intelligence information. Such that MI5 and other Western intelligence agencies will turn a blind eye to where and how evidence has been attained, so long as the intelligence information keeps on flowing. Yet you’re saying there are practical and moral reasons for why that approach is misguided? There are legal, practical and moral reasons to show that it is simply not the way to go. In Britain you’ve got a related problem at present, with the Detainee Inquiry [ set up to investigate Britain’s involvement in human rights violations such as rendition, post 9/11.] How on earth can the public have any faith in an inquiry into whether the British government was involved in the improper treatment detainees post 9/11, when the British government itself is demanding to decide what evidence the inquiry can publish about it ? We are very much involved in that process. And of course, you have the concern about what’s happening in New Zealand [with respect to the SAS handovers of detainees in Afghanistan] I’ve raised that while I have been here. It is particularly relevant given what’s come out in the leaked report to the UN [ about detainee treatment]. Amnesty has been raising this with respect to Afghanistan for months now. Given the evidence of systematic torture, NATO forces should not be handing over detainees to Afghan local forces under the present system. They’ve been ignoring us. We raised that here with the Minister [Defence Minister Wayne Mapp] almost a year ago, and he promised an investigation and we’ve not heard [anything] since. That’s a more general problem, isn’t it? 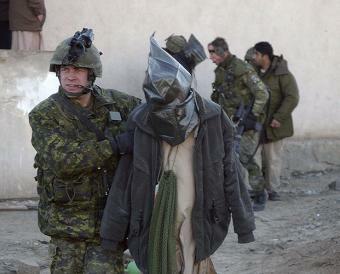 As I recall, the Canadian government investigation into detainee handovers in Afghanistan was suspended, and the promised New Zealand inquiry delayed. Does Amnesty regard this as an operational problem, or it simply a reluctance by the coalition forces to push their Afghan allies on this issue? Really, I think its reached a point now where they [NATO forces] have formally decided to suspend handing over detainees. That has already happened. What we need now is a clear investigation to hold people to account. We have been raising this for a long time. We need to know what is the line of accountability on this issue, and how we can get justice. The other thing that is totally unclear is that at this point – now that NATO forces are suspending handing over detainees – what is happening to the detainees right now? Exactly. With regard to the need for transparency about what is going on in the current situation – do these people have access to legal counsel, do their families have access to them, do they get medical support if there require it ? All the basic requirements. But the problem we have right now is that it is all shrouded in security-based secrecies. Go back to the accountability point you raised. On past experience, the chain of accountability cuts out at a very low level. Look at Abu Ghraib…it tends to be only the underlings who get held to account and we don’t seem to have much luck – do we – in getting accountability further up the tree? Fortunately, in the case of waterboarding, President Bush has now announced in his memoir that he actually authorised it himself. So since then of course, we’ve called on the US government to conduct an investigation into that. He was going to be travelling to Switzerland. We called the Swiss government to arrest him on arrival in Switzerland and of course, he [eventually]didn’t travel. And now he’s going to be heading to Canada, and we have written to the Canadian government as well, to urge them to meet their international obligations. So it goes right up to the top in that case. On that point – when it comes to human rights policy, has the presidency of Barack Obama been a disappointment to Amnesty? The other day, those US hikers in Iran – while criticising the evils pf the Iranian prison system – pointed to the way that Guantanamo Bay’s continued existence is being used by tyrannical regimes to justify their own human rights abuses. Is keeping Guantanamo open somewhat self defeating in that respect? Without a doubt. The moral leverage of Western governments and politicians is steadily being eroded by not practising what they preach. So in the case of Guantanamo, that’s so, exactly. 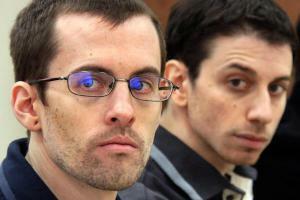 But it is also the case in the use of military trials. We have been saying that military trials simply don’t meet international fair trial standards. There is no reason why Guantanamo detainees cannot be moved to civil courts in the US. In fact, article 10 of the Universal Declaration of Human Rights demands that this be done. . Absolutely. Again, there was a commitment [by Obama] and an agreement and then a pulling back. So on that count too, President Obama has a lot to answer for. Politically speaking, immigration seems a particularly difficult policy area for governments in Australia and New Zealand. Lets put that in a general context. The UN drafted the 1951 Refugee Convention with the fate of refugees from Nazism in mind – arguably, isn’t it now a somewhat outdated document, given that many current refugees are economic refugees, or are engaged in struggles where it can be extremely hard to tell the good guys from the bad guys? I don’t think the Refugee Convention was trying to distinguish between good guys and bad guys. That was not the purpose of it. Look at what’s happening in Australia, where the situation is much worse than in New Zealand, as you know. The people who are seeking asylum in Australia are mostly from Burma, from Iran, from Sri Lanka…we know that they are fleeing from persecution. These are not people looking for better economic opportunities. Nobody is suggesting you can’t screen them, if there are identity issues. But once you are a signatory to international conventions then there is a certain obligation. New Zealand and Australia are among the richest countries in the world. So its not like they don’t have the resources. The numbers are ridiculously small, compared with the 30,000 or so coming to Sweden, or 40,000 in Germany, in France. The argument is that the current practices are a preventative measure. Supposedly our immigration barriers exist to prevent us being swamped by boatloads of economic refugees. Does Amnesty believe that stopping that traffic is a legitimate policy goal? No, because its based on a wrong set of premises. And when you are a signatory to an international Convention and you have agreed to comply with the basic rules of the game, you have to stick by it. The idea of sending them off to Malaysia which is not a signatory to the Refugee Convention and is known for caning and other practices means that the basic principle of non-refoulement is not being followed. Given that both Australia and New Zealand have foundation myths that are based on pioneering forebears who risked long ocean voyages to start a new life elsewhere, do you think that relatively affluent Western nations are shirking their responsibilities in this respect, to poorer nations? It does make it more paradoxical. It is more ironic, in that sense. Even if that wasn’t the case, they should still meet their obligations. In one way at least though, technology is facilitating the violation of the Refugee Convention, in the form of advanced passenger processing intercepts. These identity checks stop people at the airport from crossing national borders and lodging an otherwise valid claim for asylum. It enables governments to pay lip service to the Refugee Convention, while happily using technology to prevent the very people it was meant to protect from reaching our shores to avail themselves of its protections. Is there anything that Amnesty can and should be doing to condemn such practices? I must say, I’ve not really…its not something I’ve thought about. We could check. It’s a good question. What are the implications of the Arab Spring for Amnesty, and how has it been affecting your work? Quite profoundly. Partly because so much of our time in the last year has been so massive, our capacity to handle it has been reall;y stretched. We’ve been working on these countries, and these issues for a long time. The changes that have happened – and the things we’ve been calling for – have been about addressing the numbers of people behind bars without valid charges, and without due process being followed In Egypt, we’ve been calling for people to be released. Since it [ the Arab Spring] has happened, it has been great stuff. To me, I think the most important implication is that dictators all over the world now have to think twice before continuing their old practices. Given the perception of Amnesty having its origins in the West, does the Arab Spring and the human rights problems involved with it create a further imperative for Amnesty to work in unison with Islamic human rights organizations – so that compliance with human rights is not seen to be something of a Western diktat ? I think the beauty of what has happened has really exploded some of these ideas that human rights are Western ideas, or that Islam is incompatible with human rights. We always work with local partners. In fact, I was in Egypt last month. Most of the time was spent with local groups, with Muslim groups, on human rights issues. I am, by the way, very much in favour of significantly increasing Amnesty’s presence in the global South, in countries that are not classically Western. Because we absolutely need public constituencies of support in Brazil, in sub-Saharan Africa, in India. It is going to be a big part of what we are going to be doing. Finally, I want to talk about the situation in Iran. Amnesty New Zealand has had a campaign of support for the Iranian film-maker Jafar Panahi. It is very hard to judge in cases like that whether pressure from outside – given the nature of the Iranian regime – is actually being counter- productive. Are you seeing any sign that the pressure and campaigning that Amnesty is doing with respect to Iran is having the desired effect, rather than the counter-effect? That’s always a debate we have internally, as to whether at which point we use external pressure, and at which point is it actually better not to put on pressure. Overall if you take the long haul, the fact that Amnesty has been pushing in all these cases – in Burma, in Iran, in Saudi Arabia – I think it all adds up. There may be some short-term wins and losses but in the long run…The case [in Iran] that we have been talking about most recently was the one of Narges Mohammadi the woman arrested from the Centre for Human Rights Defenders. We have taken up her case. She, of course, has been closely associated with [Nobel Peace Prize winner] Shirin Ebadi herself. Yes, there are challenges. And by the way, we are not allowed access into the country. But we work with a lot of local partners. 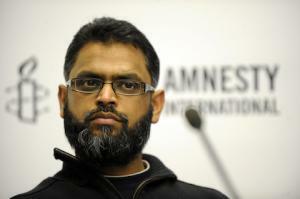 Has the Moazzam Begg/Gita Sarghal case hurt Amnesty? Its a little bit dated now. It is behind us. But I would say it was a strange conversation, because when we support political prisoners of conscience…. In the case of Begg, it was because of what happened to him in Guantanamo That was the issue. It didn’t signal a general support for jihadi causes or for any other cause with which he might sympathise? No. We don’t support people on the basis of all their opinions. That’s not the issue. We were focussed on him in relation to Guantanamo. And of course to extend that and to say that he might have other views ..well, we don’t do that with anybody. We don’t support them for every single purpose. That would be fundamentally against what we believe in. We are fighting the case of the abuses in Guantanamo. There is no question of agreeing with [the inmates] beliefs or their actions. That’s not the issue.